Summer is officially here! And this weekend’s weather will really be heralding the season. 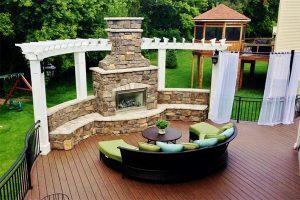 Maybe your patio, deck, or porch party game is strong, and you have already sealed your reputation as the summer hangout in your neighborhood. 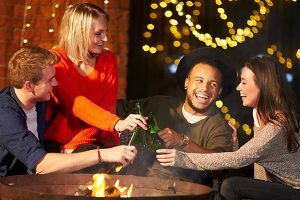 If not, here are 5 clever and relatively simple things you can do to add some creativity and panache to your outdoor gathering on these balmy summer nights. Once the sun sets, you can really create a fun or dramatic atmosphere around your property with lighting, whether you go for string lights, tiki torches, candles, or a fire ring. For a warm glow without worrying about fire hazards (especially if there are children present), try flameless candles and paper lanterns with battery powered lights. Folding chairs are convenient and don’t take up much space, but try and also offer some comfortable, cushioned seating. Arrange your outdoor sectional and chairs for conversation like you would indoors. String up a a hammock or two and encourage guests to relax. 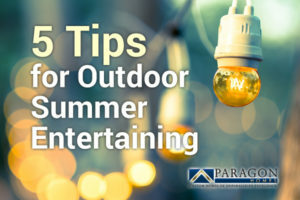 Along the same lines of bringing the living room setup outside, go ahead and move an indoor rug to your deck or patio for a real “lux” feel to your summer parties. Unless you are sure the weather will stay dry, this works best on a covered patio, and you can add some large cushions for ground-level lounging. Don’t get stressed out about how to decorate tables for your outdoor events. Let the food serve as decoration. An abundance of colorful fruits and vegetables make it easy to create platters of delicious eats that double as works of art. 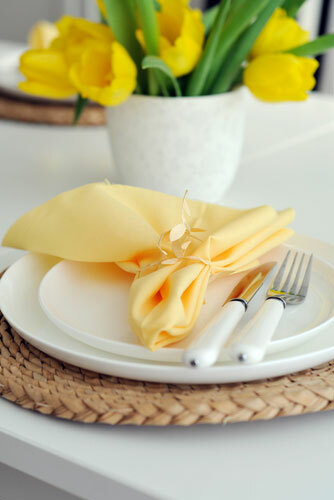 If you really want a theme look, concentrate on using dishes and platters of a similar color. No one want to do more laundry in the summer, so try some brown craft paper or white butcher paper as table coverings for your summer meals. This idea isn’t just for kids — put out some markers and encourage guests to doodle. In the end, summer entertaining is all about getting together with friends and family. Keep it simple so that you enjoy the gathering, as well! The Academy Awards are upon us, and every fan of the Oscars knows that if you aren’t at a swanky red-carpet party, then you’re probably at home — hopefully a Paragon home — in your pajamas, with your favorite snacks, and perhaps a glass of wine. 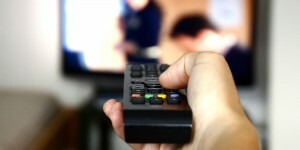 But whether you will watch the awards show or the Walking Dead or Gilmore Girls on Netflix this Sunday night, the general rules for the perfect night of television at home are all the same. So here we go! Tip #1: Get Comfy. The most perfect TV nights involve cozy jammies or sweats and a warm blankie. Tip #3: The Right Seat. If you’ve ever hosted a Super Bowl Sunday party, you know that, when it comes to TV, the right spot can make all the different. So whether you are sitting on a pouf, lounging on the couch, or relaxing in a recliner, choose a seat that’s right for you and get to veggin’ out. Tip #4: A Good TV. Shows like the Oscars require the GOOD TV. Most of us have one of these in the house: the one everyone clamors for. Use that one. This is your night. Tip #5: Relax. Don’t work or check emails while you watch TV. Focus on taking it easy, and, if you want to spice up your Academy Awards experience, fill out a ballot or take bets on who will win what. As always, Paragon wants you to have the experience that YOU desire. 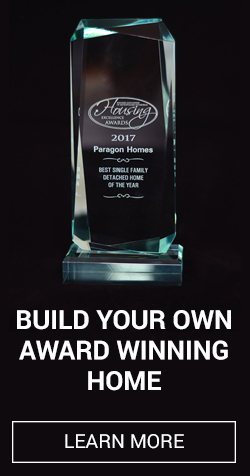 When it comes to our custom-built homes, we infuse your personality and style, and are all about luxe finishes, small details, your personal taste, and high-quality comfort. We think that even your TV experiences should be the same: comfortable, and unique to you. With the Easter season approaching, many a family with gather to celebrate the holiday at home. Cooking a large feast in your spacious, functional, Paragon kitchen – large enough to cook with your family and friends! Serving a traditional Easter dinner in your dining room. Try a Greek Easter menu, and grill a leg of lamb outside on the patio. Will the weather too unpredictable for an egg hunt? Have a family-friendly egg painting party on or near Easter Sunday. Spice up your Easter décor by featuring an “Easter tree,” a fairly new trend that Martha Stewart Living suggests trying. Change up your home décor for the spring, featuring floral displays, cherry blossoms, orchids, and even bird themes, pastels, and sunny hues. Paula Deen suggests focusing on different egg dishes for Easter, and also serving dyed deviled eggs or hard-boiled eggs at your Easter fete. According to Taste of Home, an Easter-bonnet party for little girls would be a smash hit for this holiday! Or, try an adult version with an old-fashioned tea party complete with fancy hats and cucumber sandwiches for a refreshing and unique twist on the Easter season. Don’t skip the spring cleaning! 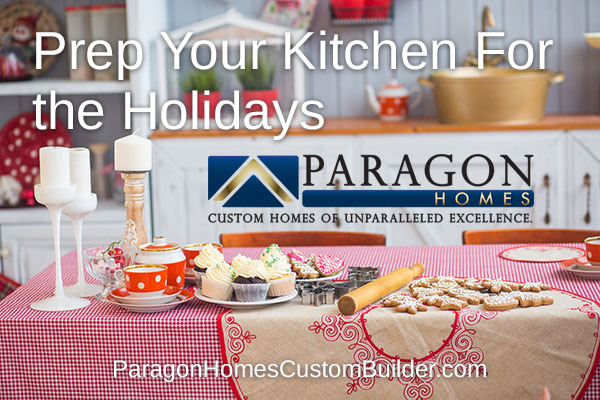 You’ll want to keep your beautiful Paragon home in tip-top shape all year ‘round and spring is the perfect time for a fresh start and a cleaner, more organized home. Let your living space reflect your inner space – think calm, peaceful, serene, and de-cluttered. Spring is also the perfect time to start caring for your lawn. Don’t neglect your landscaping! Start anew this spring with lawn manicuring and fresh flowers and plants. Whether you celebrate Easter or not, spring is a great time for fun with family and friends. Brush off the doldrums and dust of winter and “spring ahead” with joy, whether it’s a lush garden party, a lighthearted Easter egg hunt, or, an intimate dinner – and don’t forget to “spring ahead” this Sunday by setting your clocks ahead for Daylight Savings Time.